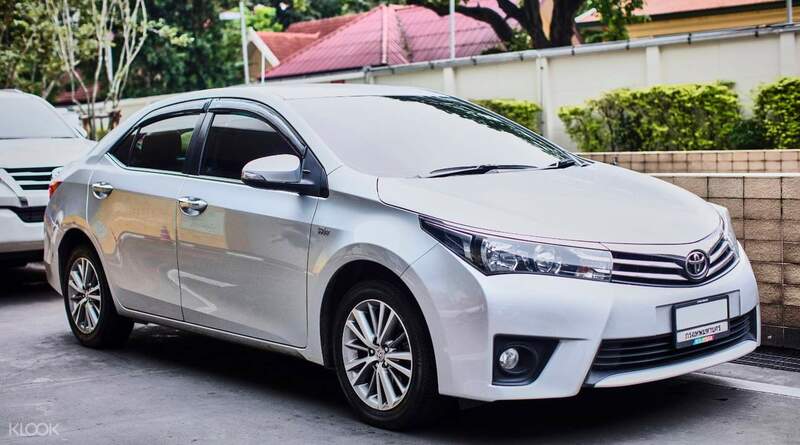 Escape the hassle of finding a reliable transfer service that can get you to Phuket International Airport or your hotel in the city. Thai Rhythm provides a safe and convenient transfer service that will take away your stress in traveling. 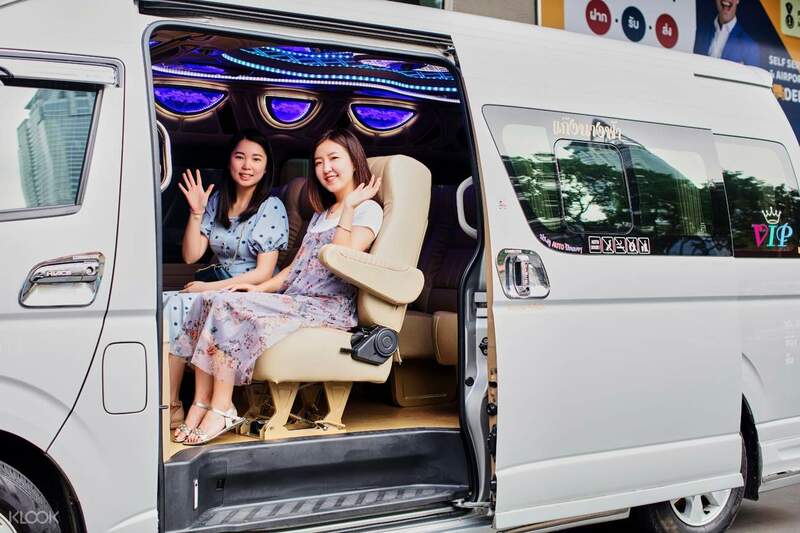 Choose from flexible vehicle options that can accommodate 3 to 10 people plus luggages and experience riding inside comfortable air conditioned sedans or vans under the command of a professional and friendly driver. Sit back, relax, and enjoy a peaceful transfer service as you make your way to the airport or the city! Walk out from airport, there is a lot of person holding paper along the way. If you can't see it from the crowd, just ask. They will tell you. Go to Klook staff and we waited around 10 minutes in the waiting area with seat. Cheap and very convenient. Driver didn't speak English but drive safely. Highly recommend! Walk out from airport, there is a lot of person holding paper along the way. If you can't see it from the crowd, just ask. They will tell you. Go to Klook staff and we waited around 10 minutes in the waiting area with seat. Cheap and very convenient. Driver didn't speak English but drive safely. Highly recommend! There is only one exit between gate 3 and 4. No worries. Just walk out and you will find the row of names. Pick your name out and then show to the operators there. They will call the driver. Take note that the drivers are not allowed to wait in their vehicles. So they will park at a short distance away waiting for the operators call. In a short while they will arrive. Just be patient. There is only one exit between gate 3 and 4. No worries. Just walk out and you will find the row of names. Pick your name out and then show to the operators there. They will call the driver. Take note that the drivers are not allowed to wait in their vehicles. So they will park at a short distance away waiting for the operators call. In a short while they will arrive. Just be patient. Driver was in time, very polite and smiled. He helped us to load our luggage and advised to fasten seat belts. It took about an hour to get to the airport. Nice price, highly recommended! Driver was in time, very polite and smiled. He helped us to load our luggage and advised to fasten seat belts. It took about an hour to get to the airport. Nice price, highly recommended! Driver arrived before time at the hotel and also helped us load the luggage in the van. He also insisted we wear the seat belt. Van was a 9 seater with last 3 seats folded down for keeping luggage. Driver took interior route instead of the highway, drove smoothly and was courteous. Overall a nice experience for a ride from hotel in Patong to Phuket airport. Driver arrived before time at the hotel and also helped us load the luggage in the van. He also insisted we wear the seat belt. Van was a 9 seater with last 3 seats folded down for keeping luggage. Driver took interior route instead of the highway, drove smoothly and was courteous. Overall a nice experience for a ride from hotel in Patong to Phuket airport. Driver is very on time as came early 15 mins before pickup time by 12:30pm after we checked-out millennium Resort Patong Phuket. Arrived airport 1:30pm. Driver is very on time as came early 15 mins before pickup time by 12:30pm after we checked-out millennium Resort Patong Phuket. Arrived airport 1:30pm. Instructions are very clear and I just book the shuttle right on the day. When i go to gate 3 and 4, i can already see my names. As all the info are input in advance, you dont need to worry about the language barriers. Instructions are very clear and I just book the shuttle right on the day. When i go to gate 3 and 4, i can already see my names. As all the info are input in advance, you dont need to worry about the language barriers. Place visited was great but a bit rushing. This tour is worth it if you dont have so much time to explore/ want to save money on transportation. Place visited was great but a bit rushing. This tour is worth it if you dont have so much time to explore/ want to save money on transportation. we waited for 20 min for the driver that was very bad .. overall I would rate a good experience...and enjoyed it .. we waited for 20 min for the driver that was very bad .. overall I would rate a good experience...and enjoyed it ..